What Is an MP4V File? MP4V stands for MPEG-4 Video. It was created by Moving Pictures Experts Group (MPEG) as a codec used to compress and decompress video data. You probably won't see a video file that has the .MP4V file extension. However, if you do, the MP4V file can still open in a multi-format media player. We have some MP4V players listed below. If you see "MP4V" in the context of a video file, it just means that the video was compressed with the MP4V codec. MP4, for example, is one video container that may use the MP4V codec. MPEG-4 provides a standard for describing how to compress audio and video data. Within it are several parts that describe how certain things should work, one of which is video compression, which is in Part 2 of the specification. You can read more about MPEG-4 Part 2 on Wikipedia. If a program or device says that it supports the MP4V codec, it, of course, means that certain types of video file formats are allowed. Like you read above, MP4 is one container format that might use MP4V. However, it could instead use H264, MJPB, SVQ3, etc. Having a video with the .MP4 extension doesn't mean that it's using the MP4V codec. MP4V-ES stands for MPEG-4 Video Elemental Stream. MP4V differs from MP4V-ES in that the former is raw video data while the latter is RTP (real-time transport protocol) data that's already prepared to be sent over the RTP network protocol. This protocol only supports the MP4V and H264 codecs. MP4A is an audio codec that can be used inside MPEG-4 containers like MP4. MP1V and MP2V are video codecs as well, but they're referred to as MPEG-1 Video files and MPEG-2 Video files, respectively. Some programs natively support the MP4V codec, which means that you can open MP4V files in those programs. Remember that although a file may be an MP4V file in the technical sense (since it uses that codec), it does not need to have the .MP4V extension. Some programs that can open MP4V files include VLC, Windows Media Player, Microsoft Windows Video, QuickTime, iTunes, MPC-HC, and likely some other multi-format media players. There are lots of file types that share similar letters to MP4V, like M4A, M4B, M4P, M4R, and M4U (MPEG-4 Playlist) files. Some of these files may not open in the exact same way as MP4V files because they're each used for a unique purpose. Instead of looking for an MP4V to MP4 converter (or whatever format you want to save the video to), you should get a video converter based on the file extension that the video is using. For example, if you have a 3GP file that's using the MP4V codec, just look for a 3GP video converter. Remember that M4V files are not the same as the MP4V codec. That list of free video converters can also be used to find an M4V to MP3 converter, one that saves M4V to MP4, etc. 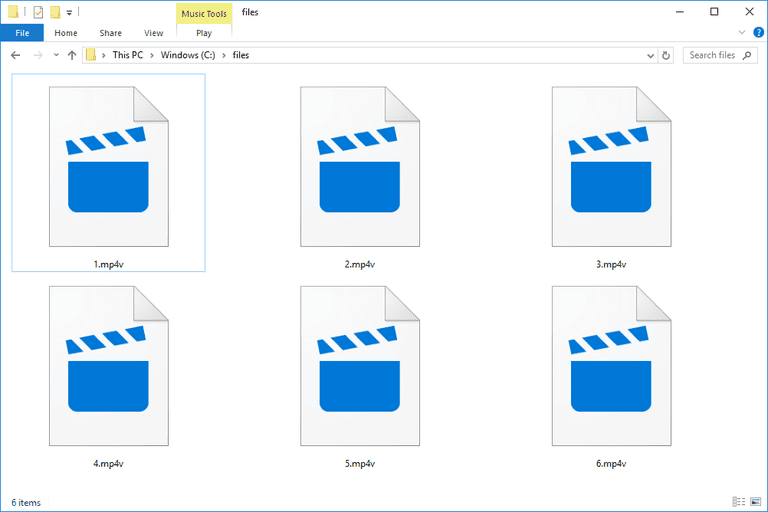 The MP4, M4V, and MP4V file extensions are so similar that you might easily mistake them for the exact same file format. Click on either link above for more information on the formats and for a list of programs that can open and convert MP4 and M4V files.